JavaNNS is a Java based Neural Network System, it is based on a command line project SNNS (Stuttgart Neural Network Simulator). SNNS was originally developed at University of Stuttgart for the analysis and training of neural and artificial networks. 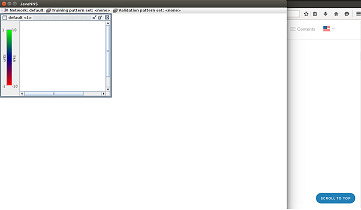 JavaNNS adds a graphical interface for this project; so it becomes easier to use. JavaNNS provides a java based graphical interface to the complex functionality of SNNS. Lets see how we can install JavaNNS on different Linux distributions. In order to successfully run this , we need java installed on our system. 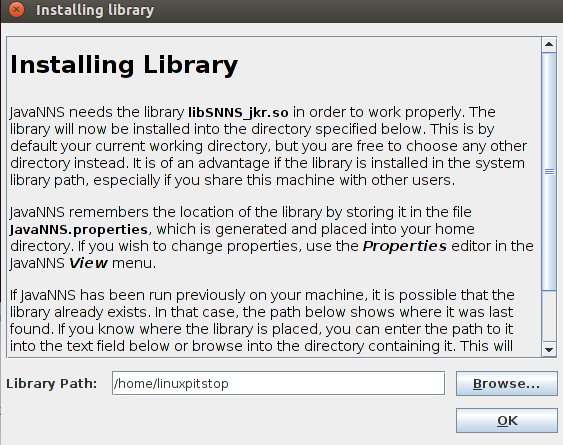 Run following command to install Java on your Linux distribution. As soon as the installation of Java is complete, download the package file for JavaNNS from its download page by using the following command. Now run following command to start JavaNNS. In order to work properly, JavaNNS needs kernel library, during the first time launch, it will load a dialogue box to install required library. You can change the directory to install this library from here, but default choice should work as it is automatically installed into your current user home directroy. Just click “Ok” to proceed further. That’s it, JavaNNS has been loaded, Start using it for your network analysis. JavaNNS is a useful tool for researches and is easy to use as compared to its predecessor. Hope you find this article useful, do let us know in comments.